At Lattice, we believe there’s a hidden opportunity to actively market to existing customers. For some reason, so many companies overlook the practice of customer marketing and focus solely on acquiring new business. We wanted to shed some light on this so we recently interviewed six customer marketers on their experiences. We recently caught up with Cristan Brown of Vision Critical. See her Q&A here. Up next is Sasa Zelenovic from Acquia, the leading cloud platform for building, delivering, and optimizing digital experiences. 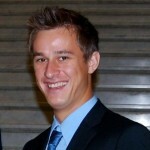 Sasa Zelenovic is a Customer Marketing Manager at Acquia. He works closely with Account Management, Professional Services, Marketing, and other functions on ensuring Acquia’s most successful resource stays informed and up to date on Acquia’s offerings. SZ: Acquia has one dedicated customer marketing resource. Our Customer Marketing Manager works closely with Acquia’s Account Management team on programs to drive customer advocacy and uncover cross-sell/ up-sell opportunities. Many default to the 80/20 rule when describing the makeup of their revenue base. If you are comfortable sharing, what percentage of your business comes from existing customers and new business? SZ: This is our first quarter having a dedicated marketing resource responsible for customer marketing. To date, the Account Management team was in charge of creating new opportunities within our install base, now they have more support from marketing. While we can’t share exact numbers, we can say that percentage of our business that comes from existing customers is significant. SZ: Only a month in, our most successful tactics has been informing our customers of new and existing products that they are not currently using. We’ve seen most success when marketing drafts the message and enables the Account Management team to deliver it to their customers. We strongly believe in customer advocacy and will prioritize these efforts in months to come. SZ: The ideal candidate needs to have a solid customer acquisition background with strong analytical skills. A creative story teller who is passionate about customer success and is constantly thinking about educating our customer base. Stay tuned! An interview with Cate Vanasse of Egencia coming soon!